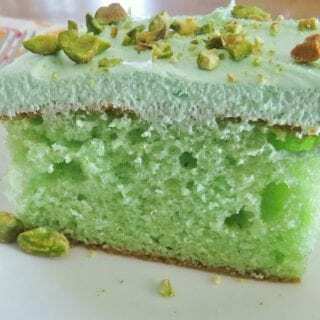 Not all recipes that are in my head turn out like I hope. Sometimes I’ll be mosey-ing (is that a real word, I’m not sure. But you get my drift) around the grocery store and I’ll get this ding of inspiration. The light bulb pops up over my head and I get super excited. Usually it’s when I see a certain ingredient or product. So I’ll rush around the grocery store like a mad woman picking up the other things I need so I can get home and work on what I think will be AMAZING. And so I get home and start working on this fabulous recipe that is in my head. Only, it doesn’t turn out quite so fabulous. Sometimes the ingredients just don’t go together or the flavor is off or I need to go totally back to the drawing board. It happens and that is the fun and challenge of creating a recipe sometimes. But this recipe I am sharing today is one of the successes, y’all. Big, sweet, yummy success! 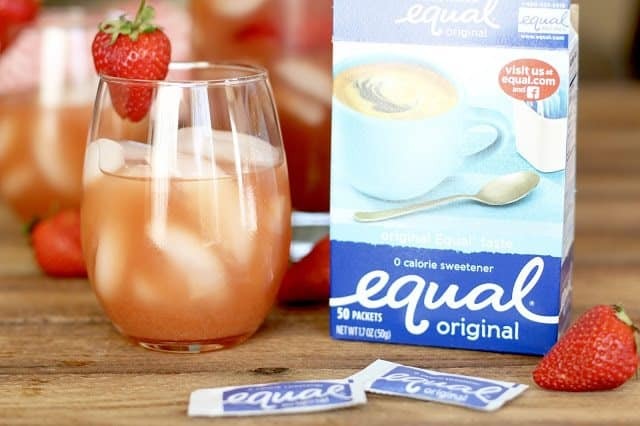 Equal® also adds great sweetness to any cold beverage such as iced tea and lemonade and it will dissolve! 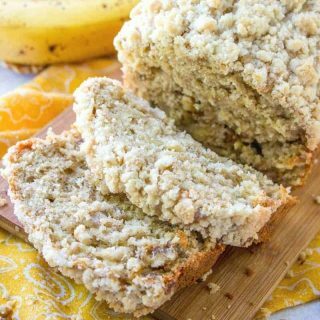 You can sprinkle it on cereal and fruit, and use it in many baking and cooking recipes. Equal® 0-calorie Sweetener is a great option for people, especially those living with diabetes, who want to replace or reduce sugar intake and keep their blood glucose levels in check. Equal® products are available at most grocery, club and drug stores. Also look for Equal® in the sweetener caddy at coffee shops and restaurants. It’s the blue packet! 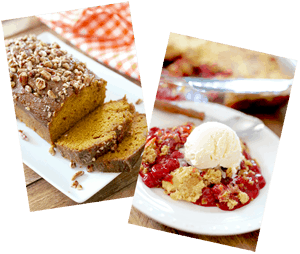 Be sure to scroll down and check out the #EmbraceYourTaste giveaway below! Whatever your reason, you are going to love this drink recipe! It is summer in a glass. 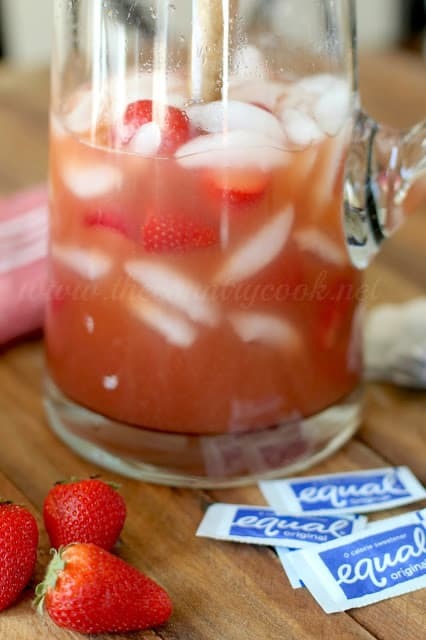 I took my favorite tea and added some delicious, fresh strawberries to the mix. And lightly sweetened it with a few packets of Equal®. 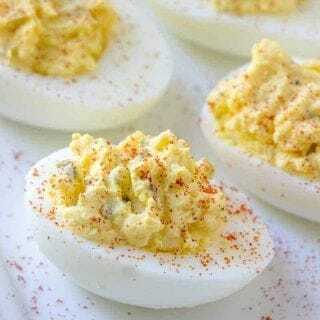 Promise me you’ll make this soon! Bring 4 cups of water to a simmer. You don’t need it to come to a full boil. Just as you start to see bubbles form at the bottom of the pan, turn off the heat. 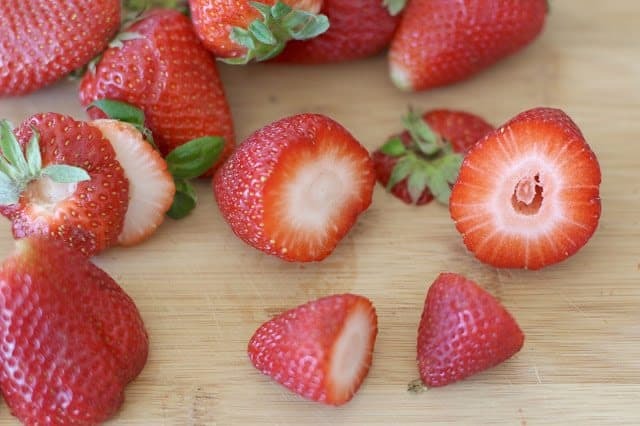 Take the rest of the strawberries and remove the stems (discard those) and slice the strawberries in half. Ahhhh…I just love to look at strawberries. They’re so pretty, right?! 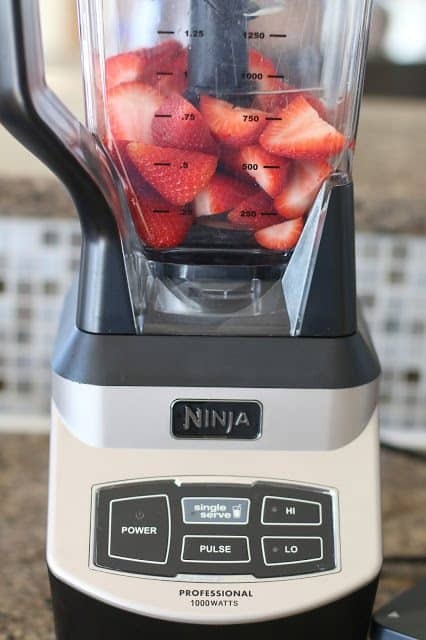 Pop the strawberries into a blender or food processor. Now, back to the tea. Once your tea has finished steeping, pour it into a large pitcher. 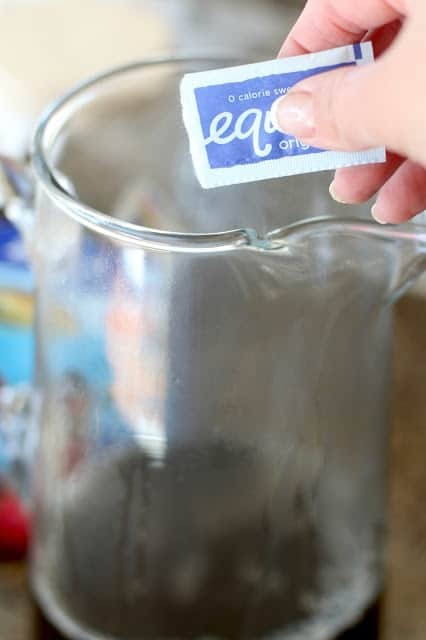 Then pour the contents of the packets of Equal® 0-calorie sweetener into the brewed tea. Give it all a stir to dissolve. At this point I want you to taste it. Is it sweet enough for you? If not, continue to add one packet at a time to get to your desired level of sweetness. 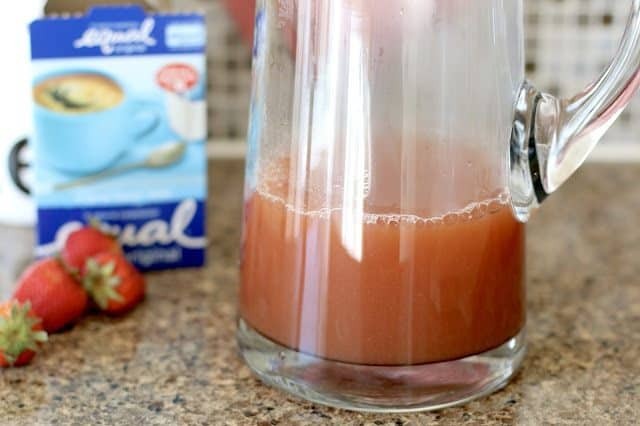 Next, take the strawberries you blended earlier and strain them over the sweetened tea. This will help with removing all those strawberry seeds that didn’t get blended up. Quick note: If you want, you can add all of the strawberry pulp (unstrained) into the tea. Give it all a good stir, then strain the entire tea mixture. Whichever is easiest for you and whatever you have the patience for. The thinner liquid will be a bit easier to strain. This next part is totally optional. 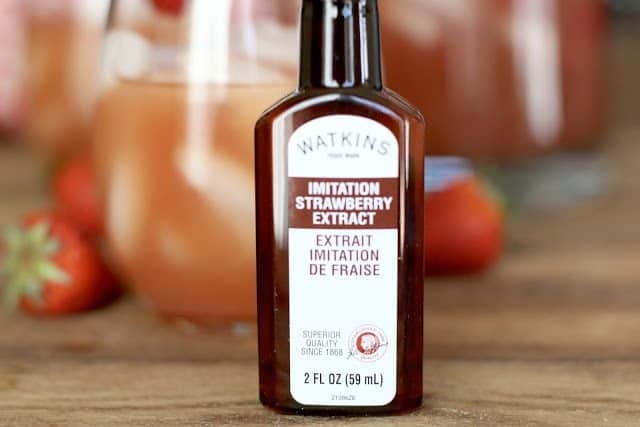 But if you really want a kick-in-the-pants strawberry flavor then I would definitely add strawberry extract. Cause ya know, sometimes strawberries (especially if they aren’t in peak season) are not that strawberry tasting. If you know what I mean. This really helps to bring out that strawberry flavor. 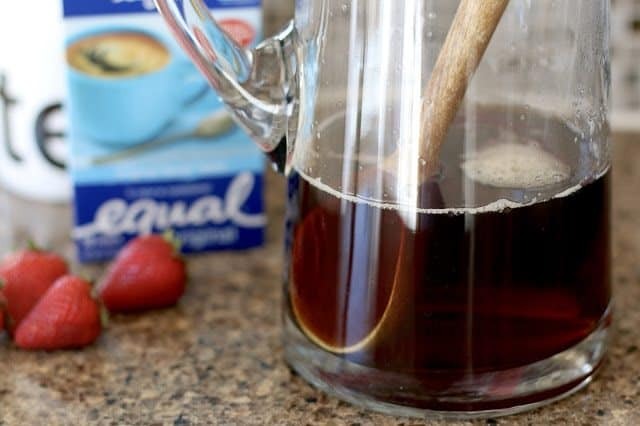 After you add this in – give your strawberry tea one last taste to make sure it is sweet enough and you have enough strawberry flavor. This is the time to add more if necessary. Finally, add ice cubes OR frozen strawberries to the tea. Another note: Ice cubes can water down the drink as it cools. 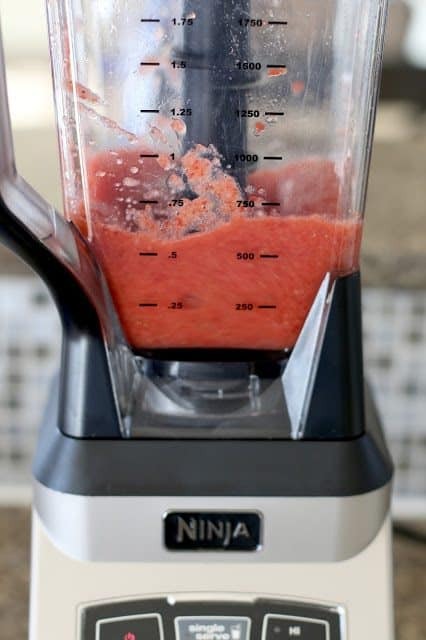 Instead, try using frozen strawberries. This will keep the drink cool, look really pretty and it won’t water down the drink! Before pouring the drinks, you can always throw a few ice cubes into the glasses. Cook’s Note: Like lemon in your tea? 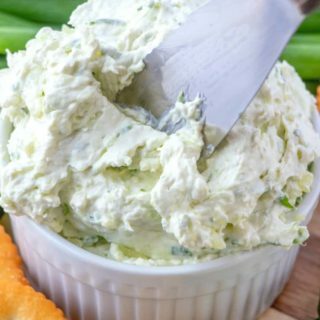 Try adding a 1/2 cup of fresh lemon juice to this for hat extra little zing! Makes 5 servings. 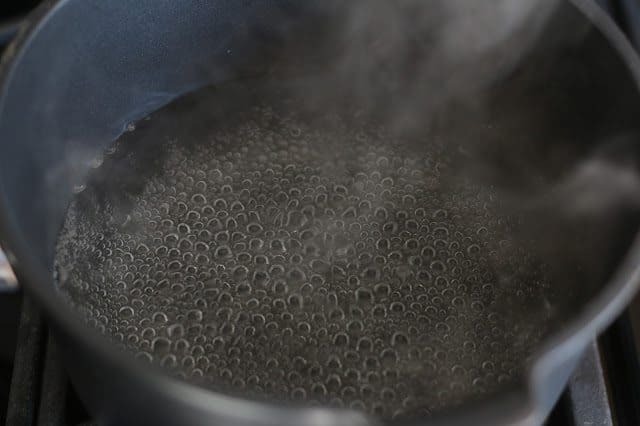 In a medium pot, bring 4 cups of water to a simmer. 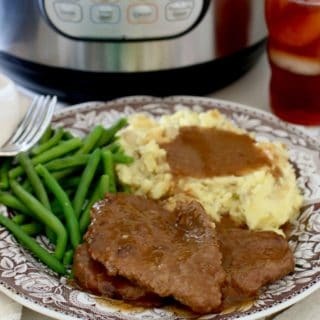 Once it comes to a simmer, turn off heat. 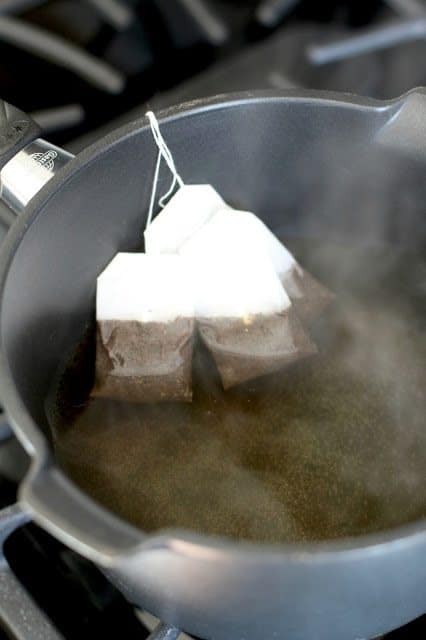 Then add tea bags to the pot and let it steep. 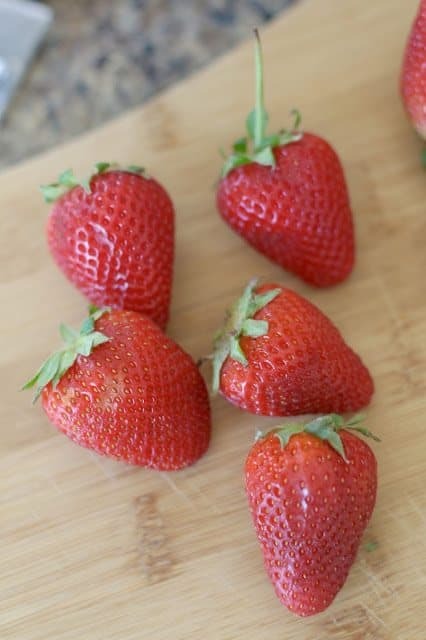 Take the rest of the strawberries and remove the stems (discard those) and slice the strawberries in half. Once your tea has finished steeping, pour it into a large pitcher. 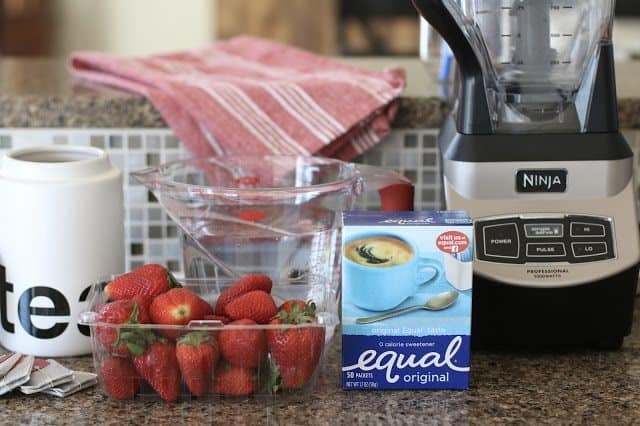 Then pour the contents of the packets of Equal® into the brewed tea. Give it all a stir to dissolve. 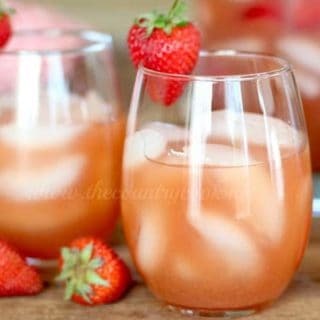 Next, take the strawberries you blended earlier and strain them over the sweetened tea. 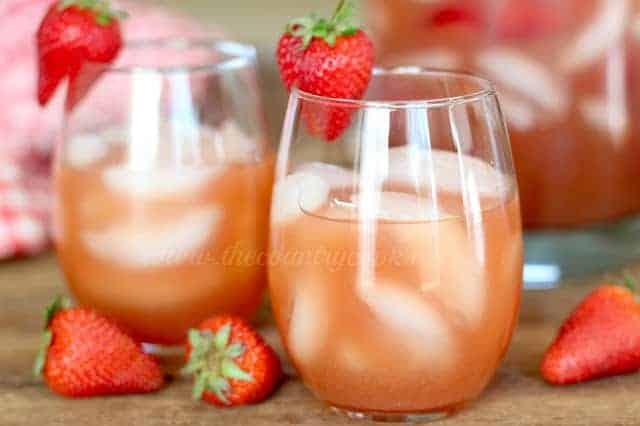 Finally, add ice cubes OR frozen strawberries to the tea to cool it down. 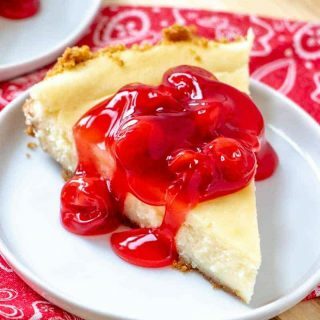 Serve with strawberries as a garnish on top! 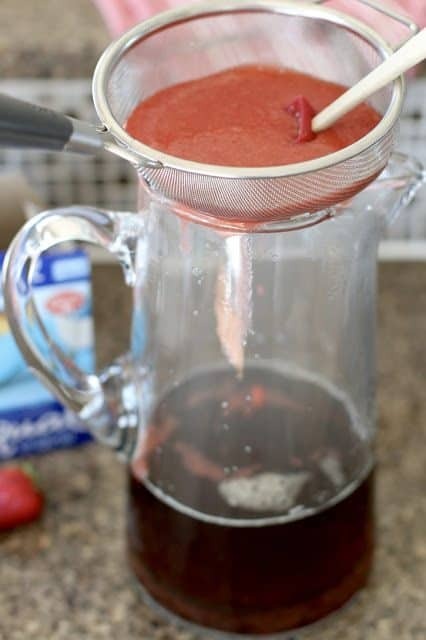 You can add all of the strawberry pulp (unstrained) into the tea. Give it all a good stir, then strain the entire tea mixture. The thinner liquid will be a bit easier to strain. This post is sponsored by Equal®. As always, all opinions are my own. 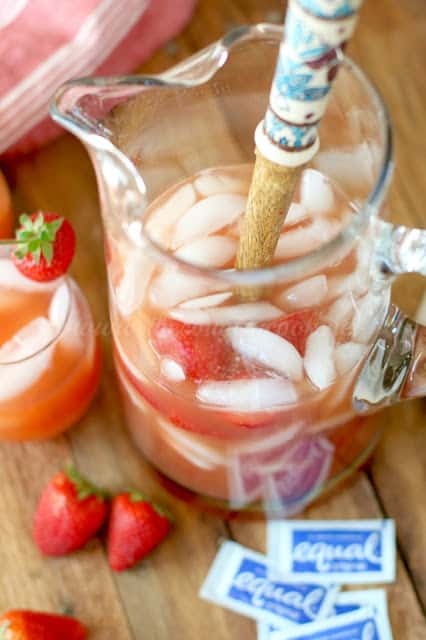 I love to drink lemonade during the summer, but will definitely try this strawberry tea. Sounds really good. I like to mix tea and lemonade in the summer! 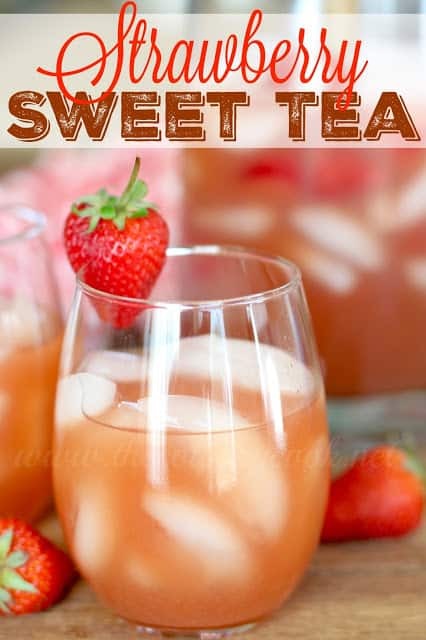 Your strawberry sweet tea recipe needs to be given a try at my house. Love sweet tea. this looks awesome!! I can't wait to try this!!! Strawberries on 903, our local berry farm has them ready to pick. Yay!!!! Thanx for all the recipes.